Nothing like a little software update to get the weekend started right… right? Just days after Samsung shipped the first consumer units of its Galaxy Tab 10.1 (you can find our review here), the Android 3.1 update that first struck Motorola’s Xoom is now gracing the Limited Edition models that were handed out at Google I/O 2011. We’ve confirmed here at Engadget HQ that the update is indeed percolating, with Americans needing to simply register with Samsung (select “UK” in the options list, it’s cool) and proceed to the Software Update within the Settings pane. If you’ve applied the update, let us know how things went in comments below; if you ran into any issues, give those More Coverage links a look. Either way: lucky! 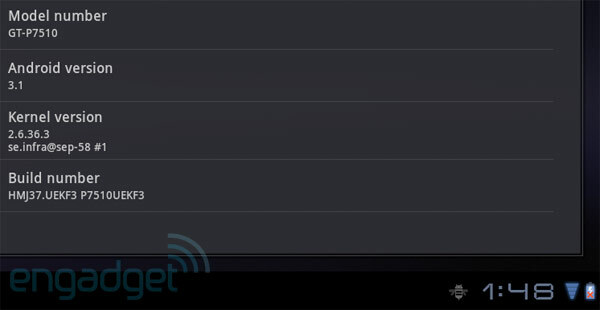 Samsung Galaxy Tab 10.1 Limited Edition gets Android 3.1 update, that much cooler originally appeared on Engadget on Fri, 10 Jun 2011 17:26:00 EDT. Please see our terms for use of feeds. This got a bit lost amid all the WWDC 2011 hubbub earlier this week, but Apple quietly delivered a bit of bad news to steadfast Windows XP users with its iCloud announcement. 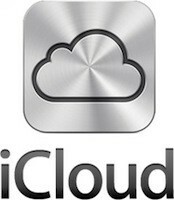 Unlike its MobileMe service and recent versions of iTunes, which have somewhat surprisingly supported Windows XP all this time, use of Apple’s iCloud service on a PC will require either Windows Vista or Windows 7. Of course, XP users shouldn’t feel too bad about being left behind — as TUAW notes, Apple’s only extended support for the Mac version of iTunes 10.3 back to OS X 10.5, which was just released in 2007 (when Windows XP was already starting to tell other upstart operating systems to get off its lawn). Windows XP users will finally need to upgrade to enter the iCloud originally appeared on Engadget on Fri, 10 Jun 2011 16:51:00 EDT. Please see our terms for use of feeds. Congratulations Tennessee! Governor Bill Haslam, has put your state in the national spotlight and, for once, it has nothing to do with Bonnaroo or how bad the Titans are. The republican executive of the state signed a ban on “distressing images” into law last week that we’re sure constitutional lawyers are going to have a field day with. Anyone who sends or posts an image online (and yes, that includes TwitPics) that they “reasonably should know” would “cause emotional distress” could face several months in jail and thousands of dollars in fines. The best part? Anyone who stumbles across the image is a viable “victim” under the law and the government doesn’t even have to prove any harmful intent. 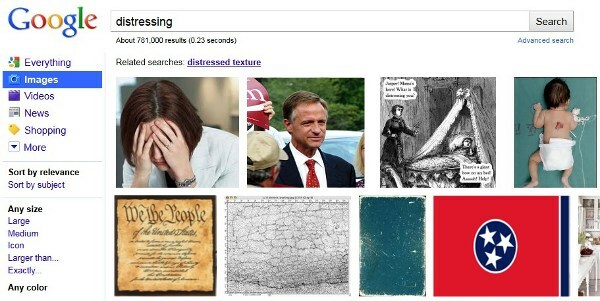 So, Tennessee residents who aren’t cautious enough using Google image search could get a few people in trouble. Another, and perhaps more perturbing, part of the same bill also seeks to circumvent restrictions on obtaining private messages and information from social networking sites without a search warrant. We give it about a month before this gets struck down on obvious grounds that it’s unconstitutional. Tennessee law bans ‘distressing images,’ opens your Facebook inbox originally appeared on Engadget on Fri, 10 Jun 2011 16:19:00 EDT. Please see our terms for use of feeds. This entry was posted on June 10, 2011, 5:32 pm and is filed under Mobility. You can follow any responses to this entry through RSS 2.0. Both comments and pings are currently closed.